CINCINNATI (WLS) -- Macy's will close 40 stores- none of which are in the Chicago area- and cut 3,000 jobs in coming months. 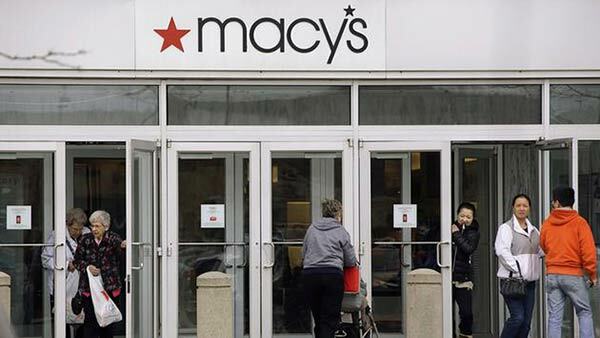 An average of three to four positions will be affected in each of Macy's and Bloomingdale's approximately 770 going-forward stores," according to a release from the store. Besides consolidating and restructuring, Macy's indicated the group is continuing to look at real estate as an option with flagship stores, including Chicago's State Street, as mentioned in November 2015. The department store cited a "challenging" holiday season with sales down 4.7-percent. Downtown Spokane, Spokane, WA (374,000 square feet; opened in 1947; 94 associates). Essex Green Shopping Center, West Orange, NJ (93,000 square feet; opened in 1975; 101 associates). Note that this location was converted to a Macy's Backstage store. Downtown Pittsburgh, PA (1,158,000 square feet; opened in 1946; 170 associates). Want to live above Macy's?